Rock and roll is inherently nostalgic at this point. Sure, you can play it or listen to it without obsessing over or thinking about the past, but on a fundamental level you’re always going to wrestle with its decades of history, and with your own history with it. 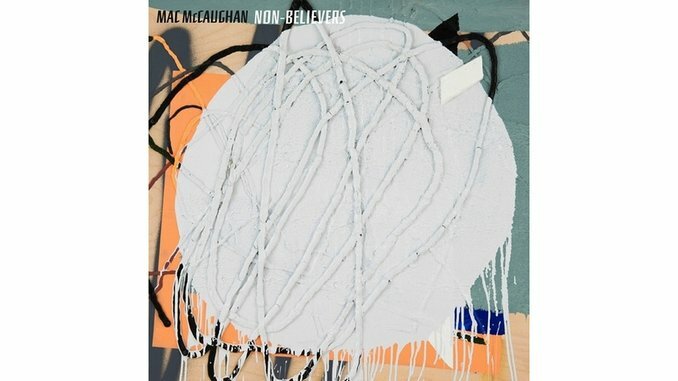 Mac McCaughan’s new album Non-Believers is especially nostalgic for fans of his work, both with the band Superchunk and with his previous solo project Portastatic. Unlike those artists who regularly try to reinvent themselves, McCaughan’s voice and his craftsman-like approach to pop songs are constants in his work. Listening to Non-Believers will bring favorite old Superchunk songs to mind, or that time you saw them live and were convinced for one night that they were the greatest rock band of all time. All that history can overwhelm a record as modest as Non-Believers. Don’t let it. McCaughan’s first album under his own name might as well be a Portastatic album, not because it sounds like Portastatic but because what Portastatic sounded like changed slightly but regularly throughout the 20-plus years McCaughan used that name. Non-Believers doesn’t have the four-track fuzz of the earliest Portastatic records, or the jazzy flourishes and electronic excursions of the best Portastatic album, The Nature of Sap. There are no surprises with the instrumentation—McCaughan sticks to guitars and keyboards, sometimes with a drummer, sometimes with a drum machine. Some songs, like the Flying Nun-esque “Box Batteries,” are as fast and rocking as anything by Superchunk. Most of the record keeps a slower pace, though, not sluggish or stagnant but a steady midtempo amble. Synth-heavy “Mystery Flu” sounds like OMD with a microscopic budget and modest ambitions. The warm tones of his guitar and keyboards at times recall Brian Eno’s ‘70s rock records, just like thick beams of sound that hang heavy in the air and burn into each other. As usual, his lyrics are vague enough to feel universal but hint at real-life experiences and private pains. (This is a guy who eulogized a friend in a two-minute pop song about listening to the Skatalites that was one of the catchiest songs of 2013.) It sounds like a Mac McCaughan record, which is a well-established concept even if this is technically the first Mac McCaughan record.